If you’ve reached this page, chances are you’re looking to buy a new pinball machine because you don’t know where to start. I’ll try and run down the options for you to make it easier. The number one way to save money on pinball is to call. Not email, not Facebook message, call. If you’re looking to buy a new pinball machine, there are a bunch of good options. For new machines, there are currently four different manufacturers shipping machines. They are Stern pinball, Jersey Jack pinball, Chicago Gaming, and Spooky pinball. Stern is the biggest manufacturer followed by Jersey Jack, then Chicago Gaming, and Spooky pulling up the rear. If you’re looking to buy a new Stern, you’ll see that most games have three options, a pro, premium, or an LE. The pro is the basic model, the LE is the highest end model with all the bling and some playfield changes, and the premium is basically the same as the LE with slightly less cosmetic stuff. I personally like the pro models more than the other two most of the time, about the only game where I like the premium more is AC/DC pinball from a few years ago. Most of the time, the premium just doesn’t offer the extra bang for buck. So how do you save money on a new Stern? It used to be that you’d call up a distributor to get the best price and pay by check. Stern though has closed the gap so much that actually the best deal may be on Ebay. I would suggest leveraging your credit card points back + ebay bucks + Ebates to save up to 5% on your game, depending on what percentages they may be offering at the time (like sometimes your credit card will offer bonuses in some categories). That way you’re also protected by Ebay and Paypal plus save a bunch of money in the process. Note: The Ebates link above and some of the pinball machine machines below have referral links, which means that if you happen to buy something, I might get a small stipend, which would help me keep this website running (which I would greatly appreciate). With Jersey Jack you only have high end models similar to Stern’s premium and LE. Most new games come in three models, standard, LE (Limited Edition), and CE (Collector’s Edition). Unlike Stern though, the LE’s for Jersey Jack really aren’t that limited and they make multiple LE’s of most games. The CE is lot more similar to Stern’s LE in that they’re very limited, only a lot more expensive at over $12,000 apiece. Chicago Gaming is a new player in the market feature remakes of the best pinball machines from the past. They’ve only made two machines so far, Medieval Madness and Attack From Mars. Medieval Madness is only available in one trim model now, the standard model, while Attack From Mars is available in a base model, the SE, and the LE. The three models have various upgrades including big color screens and toppers. Unlike the other vendors, existing used machines exist for the games they’re remaking. However, those used machines are as expensive as the new ones, so it doesn’t really make any sense to buy an old one at this point. Spooky Pinball has been around for a few years. Their first game was America’s Most Haunted that was limited to 150 machines. In fact, I was in on the first round of those games, owning #38 or #39 (can’t remember which one). It was a really fun game but it was a little unreliable due to the hobby servo’s they used on that game. Fast forward to now, they’re now producing a bunch of new games and the quality issues have been largely addressed. You can currently order The Jetson’s pinball, Domino’s pinball, and now Total Nuclear Annihilation (TNA). Total Nuclear Annihilation has been a huge hit so far, a throwback game that offers a unique challenge different from all other modern games. Spooky Games aren’t as expensive as some of the other manufacturers, ringing in at a little over $6000. The best place to order them is from them directly, they’ll get you set up and put on the list. Currently Spooky has these games available for order. Do pinball machines increase in value? The answer for the past 20 years has been mostly ‘yes’ for used machines. For new machines, the answer has been mostly no with a few exceptions. In my own personal collection, a lot of games I own or have owned have doubled in value over the past 10 years. That didn’t completely hold true for all games though, games like Stargate only went up about 50%. New games though were very hit and miss on their value. Games like World Poker Tour fell like a rock after they were bought new and still haven’t gotten back over $3000. NASCAR fell the same way and hasn’t recovered in price either. In general, Williams/Bally games have gone up in value consistently the past 10 years. Gottlieb games have gone up some but not as much. Data East and Sega games have gone up some but not a huge amount. Stern games are about 50/50, some have gone up a little (mainly due to new price increases) but some are also down a few hundred to a couple thousand from when new. Avengers LE is a good example of a game that fell a bunch after new. I guess the takeaway from this is that if you buy a new game, you can be sure that when new for the first 2 or 3 years, you’re going to take a resale hit for sure, unless it’s one of the LE’s that becomes super popular. The hit generally won’t be too high unless you buy an unpopular title like WWE. Usually anything based around super hero’s, sci fi, or rock bands resell well, while anything based around sports will almost certainly drop a bunch in value. Pinheads hate sport themes in general. Hopefully the rundown above will help you buy a pinball machine. I know for a new person to the hobby that it can be a confusing process and a lot of time local dealers will take advantage of new buyers (similar to car dealers). 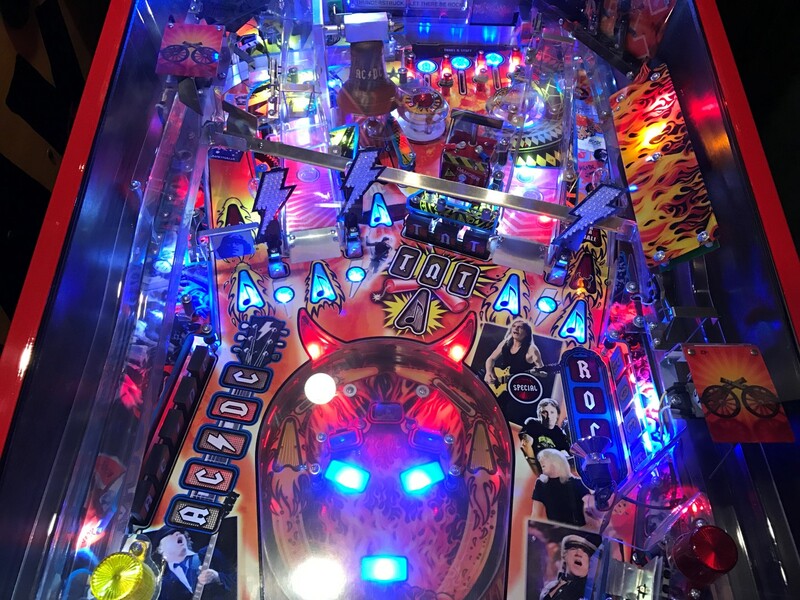 I’m hoping the information above will help you save money and frustration, pinball sales is kind of an old fashioned business unfortunately due to the distributor network most of them follow.